Mockingly, I will address several items in the lawsuit as filed by JVI (the developer) against our township regarding the BoS’s decision to deny the warehouse plans. To recap, the Greenwich Twp BoS, after reviewing the preliminary plans, as approved by the Greenwich Twp Planning Commission as “ready to be reviewed”, decided that there are a number of outstanding issues in the plans and denied them. Every item the BoS determined were safety issues or SALDO issues or Ordinance issues, with the exception of one, had been presented to the Planning Commission and the Board of Supervisors by us (the Krumsville Community) on several occasions throughout the course of the plan discussions from February 2017 to December 2017. And I have all the meeting recordings to prove that statement. As you read through the lawsuit, you will see numbers circled on the side. These are my mocking comments! 1) Actually, JVI filed a “Sketch Plan” on October 11, 2016. The “Preliminary Plan” was not filed until after the November 2016 review of the sketch plan by Berks County and Keystone Consulting Engineers. So, already on page 2 of this lawsuit, the filing attorney has their information incorrect. 3) REALLY? OH MY GOSH! Apparently, all the meetings with the PC and the BoS from March 2017 to August 2017, the developer sat at those meeting with ear plugs in their ears and their attorney was sleeping because (with the exception of one item) all the items that were the basis for the denial were discussed over and over and over. We filed many petitions, complaints, documents and research to the PC and to the BoS regarding the “issues with the proposal”. WHERE WERE YOU, APPELLANT????? Funny story here, at the November BoS meeting, I have a photo of the one Keystone Consulting Engineer, sitting at the head table, with his head on his hand sound asleep. Hey! Thanks for paying attention while the developer tries to confuse the issues about this warehouse plan. 4) Excuse me, please. The Krumsville Community brought the items before the BoS, who clearly stated they did not have the plans before them and those items would need to be brought before the Planning Commission … and so the Krumsville Community then attended the PC meeting two weeks later and submitted the items. So yes, we did present to the BoS but they carefully never addressed the items at their table, they sent us to the PC table. We truly felt we were getting the run around at that point. (of angles) having a common vertex and a common side. 8) This is not true, they did not “preclude use”, they denied your plans as presented because there are defects in the plan against our SALDO, our Ordinances and public safety. In the denial letter the BoS slearly states that JVI is more than welcome to resubmit the plans after correcting all the issues to make the plan compliant. 9) Well, well, well. Apparently you did not listen at THAT meeting, either. 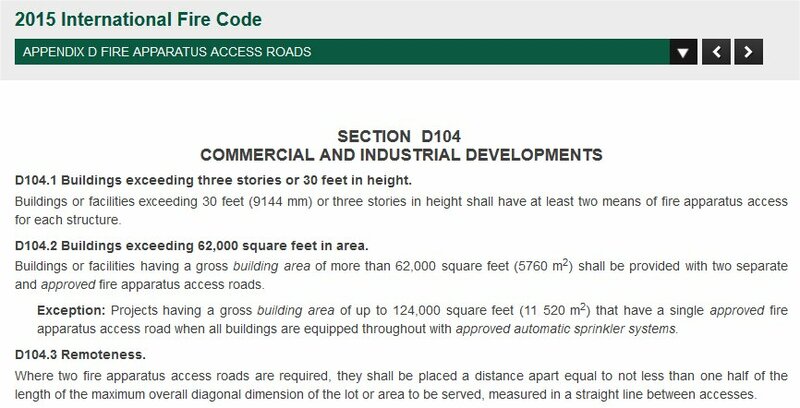 Greenwich Township (at the time of the denial) did not have ANY firecode ordinances and as such, they chose to use the 2015 ICC Fire Code Appendix D. And let me tell you, this was the topic of conversation at every meeting from the time the BoS received the plans because the developer’s proposed emergency access road was a joke and was not safe and would be compromised in several different ways (as the BoS presented to the developer over and over and over) And at that same meeting (and yes, this is recorded) the solicitor asked the local fire chief if the emergency access design was safe and appropriate and the fire chief clearly states that “No, it is not.” WAKE UP! 10) HA HA HA HA HA HA HA … Really? Oh my gosh. PennDOT contacted us, the Krumsville Community, regarding a letter and petition we sent to PennDOT about reviewing the intersection as a safety issue in the HOP process. They contacted us, the Greenwich Twp Board of Supervisors and the Developer to attend this PennDOT meeting. There was nothing secret about it. I did stand up and say I was hesitant to have this meeting with the Board of Supervisors and the Developer in attendance because I did not feel that their presence would allow us the full attention of the PennDOT representatives. However, this meeting was never a secret. 11) The BoS requested those PennDOT documents at the December 4th meeting and the developer could not produce “the alleged” documents. 12) And a second opinion is not allowed, why? 13) Amazing, I was never privvy to any private meetings, private conversations, or aware that there WERE any private anything. Everything that the Krumsville Community had to do with the BoS and the PC were done at the public meetings. All documents, complaints, petitions, etc were all presented at the public meetings. So, what did I miss out on???? 14) Oh no no no … the Krumsville Community presented inches of “expert testimony” in the forms of research, documents, PE Sealed engineer reports and a one meeting, the Krumsville Community did bring two experts to discuss the research and we were not allowed to have them speak. Oh, and let’s talk speculation for a moment. The entire warehouse plan and developer submitted traffic reports, etc are all “speculation”. Until the warehouse is built and in full function, everything leading up to that is speculation and supposition.